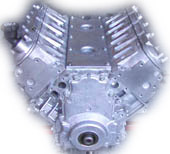 further information regarding motors that you require please contact us. 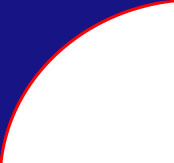 CHEV MOTORS, FORD MOTORS, CHRYSLER MOTORS. TO ORDER ONLINE CLICK ON CREDIT ORDER. Chev 350 Ram Jet, comes with Cast Vortec heads, muli-point injection, MEFI controller and wiring harness, electronic distributor, harmonic balancer and drive plate.350hp @ 5200 RPM, Torque 400 @ 3500 RPM, 9.4:1 compression. Cost $POA. #059. 12 months guarantee. Chev ZZ572 Deluxe, comes with rectangular port alloy heads, single plane alloy intake manifold, Holley 850cfm Demon carburetor, HEI electronic distributor, harmonic balancer, drive plate. alloy water pump, spark plugs and leads, 620hp @ 5500 RPM, Torque 600 @ 4500 RPM, 9.6:1 compression, Fuel 92 octane. Cost $POA. #028A. 12 months guarantee. 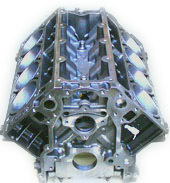 Forged 4340 crank and rods, forged pistons, roller cam, tall deck block. 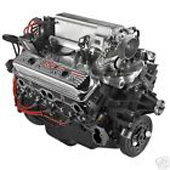 Chev ZZ572 Deluxe, comes with rectangular port alloy heads, single plane alloy intake manifold, Holley 1090cfm king Demon carburetor, electronic distributor, harmonic balancer, drive plate. alloy water pump, spark plugs and leads, 720hp @ 6250 RPM, Torque 685 @ 4500 RPM, 12:1 compression, Fuel... race fuel. Cost $POA. #028B. 12 months guarantee. 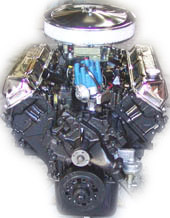 CHEV 383 Stroker - New 425HP motor. 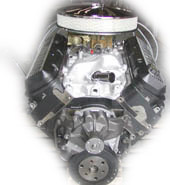 CHEV 350 LT1 GEN 2 - Multi point fuel Injected Motor. 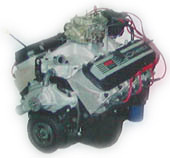 CHEV 350 LT1 GEN 2 - Reconditioned. 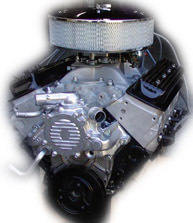 CHEV 350 - Reconditioned 395HP motor. 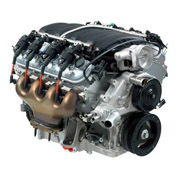 CHEV 350ZZ - New 355HP 4bolt motor. 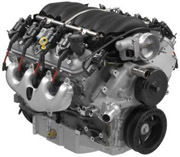 CHEV 350 - New 330 HP Vortec Motor. 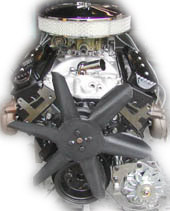 CHEV 350 - New 290 HP Motor. 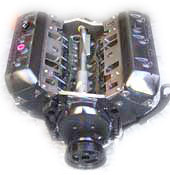 CHEV 305 - Reconditioned Long Motor. 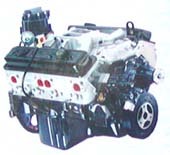 CHEV LS1 5.7LT GEN 3 - Reco long motor. LS1 5.7LT 220kw version $POA. 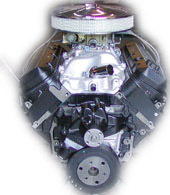 CHEV 350 -New 290HP 4bolt Motor. 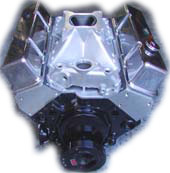 CHEV 350 - Reconditioned 86-95 Motor. 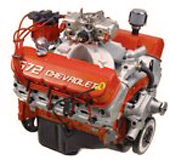 CHEV 327 - Reconditioned Motor. 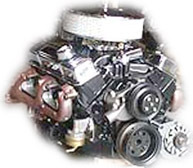 CHEV 305 - Reconditioned Motor. Fully reconditioned long motor with new forged pistons, reconditioned rods, new bearings, new rings, new timing chain set, new performance cam, new HV oil pump, new timing cover, new valve covers, new alternator and brackets, new starter, new water pump, reco 4bll carberettor, air cleaner, new pulleys, new exhausts, new drive plate, new sump, reground crankshaft, new water neck, fully recnditioned heads, motor can run on unleaded fuel or LPG.Cost $POA #148C. 12 months guarantee. 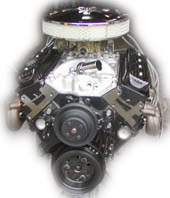 FORD 302W - Reconditioned F150 Motor. 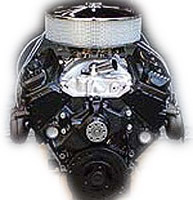 FORD 302W - Reconditioned Motor. Reconditioned Long motor with heads, new pistons, new rings, new bearings, new timing set, etc. Cost $POA #557. 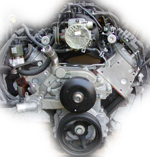 Motor can run on unleaded fuel or LPG.12 months guarantee. FORD 351W - Reconditioned Motor. Reconditioned Long motor with heads, new pistons, new rings, new bearings, new timing set, etc. Cost $POA #746. 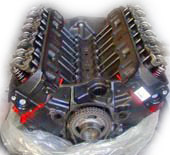 Motor can run on unleaded fuel or LPG.12 months guarantee.
. FORD 460 - Reconditioned Motor. Reconditioned 460 long motor has new pistons, rings, bearings, timing set, cam, fully reco heads, can run on unleaded fuel or LP Gas Cost $POA #896. 12 months guarantee. 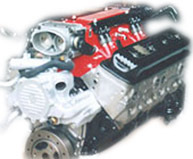 CHEV/ HOLDEN 5.7LT LS1 - Reco Short Motors. 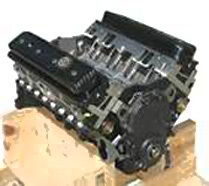 5.7lt LS1/LS6 new Alloy short motor comes with crank, pistons, heavy duty rods, rings, bearings. Cost $POA #067C. 12 months guarantee. CHEV 5.3LT GEN 3 - New Motor. Chev 5.3lt Suburban/ Pichup Heavy duty Cast iron block motor, comes with exhausts manifolds, auto flexplate, waterpump, harmonic balancer and pulley, water pump, coil packs and injection. Cost $POA #500. 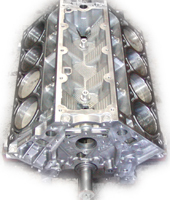 CHEV 350- New Cast Iron 4bolt Block. 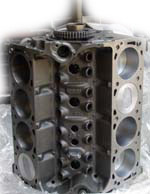 CHEV 6.0LT- GEN 3 New Cast Iron HD Block. 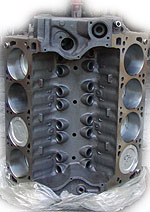 CHEV 502- New Cast Iron HD Block. CHEV 4.3 LT- 262 V6 New Vortec Long Motor. Chev new Vortec 4.3LT 262 V6 with no accessories. 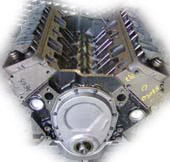 Has Harmonic balancer, valve covers, sump, roller cam and balance shaft.Cost $POA #A133. 12 months guarantee. 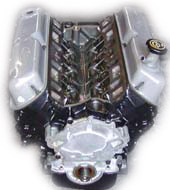 CHEV 4.3 LT- 262 V6 Reconditioned Long Motor. 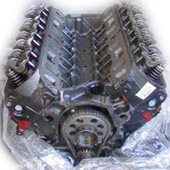 Factory Reconditioned 4.3LT 262 V6 with no accessories. Has new pistons, new rings, new bearings, reco unleaded heads, roller cam and balance shaft.Cost $POA #A135. 12 months guarantee. Comes with 4 barrel carby,electronic distributor, starter, drive plate, exhausts manifolds, water pump, pulleys, 235 HP. Cost $POA #A131. 12 months guarantee. CHRYSLER 318 - Reconditioned Motors. Factory reconditioned long motors, all new parts.Motor can run on unleaded fuel or LPG.Cost $POA #B810. 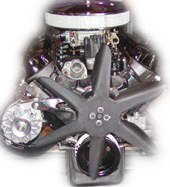 Motor can run on unleaded or LPG. 12 months guarantee. Chevrolet 502HO New Motor. Comes with, rectangular port heads, new harmonic balancer, 4 Bolt, steel crank, forged pistons, forged rods, new HEI electronic distributor, reco 800DP carberettor, new water pump, leads and spark, new alloy performance intake, new drive plate, air cleaner, dipstick, new gear reduction starter. Cost $POA #512C. Horsepower 465, Torque 550ft lbs, compression 8.75:1. 12 months guarantee. Chevrolet 454CI Reconditioned Motor comes with new water pump, harmonic balancer, 4 Bolt mains, cast crank, new alloy performance intake, reconditioned carberettor, new HEI Distributor, dipstick, hyperutectic pistons, heavy duty rods, new drive plate, new gear reduction starter, spark plugs and leads. Cost $POA #207C. 12 months guarantee. 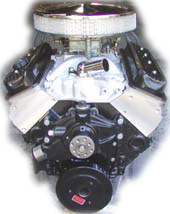 FORD 302W - Reconditioned Long Motor. 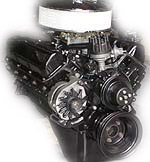 FORD 351W- Factory Reconditioned Long Motor. 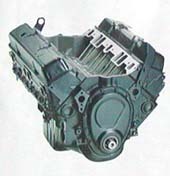 FORD 351C- Reconditioned Long Motor. 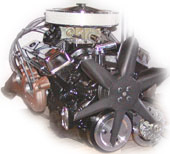 .FORD 460 - Reconditioned Motor. FORD 351W- Factory Reconditioned Short Motor. 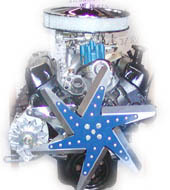 FORD 460 - Reco short Motor. 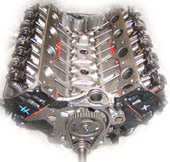 JEEP 4.7LT V8- Reco Head. 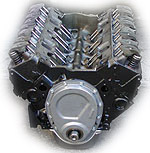 JEEP 4.0LT 6CYL - Reco Head.